For every listing I send out "Just Listed Postcards" to notify the neighborhood of the upcoming home for sale and the open house schedule. 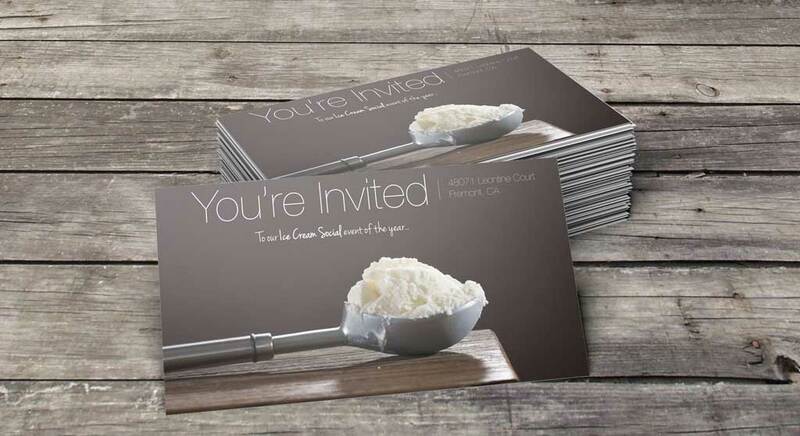 I find that be offering a simple, easy and fun event can increase the foot traffic and "Buzz" of an open house. Many times neighbors will share the photos of the ice cream social on Facebook. I hold open houses every week for my listings. If I'm not available I get a fellow realtor from the office to hold the open house. Open houses offer a great opportunity to for me to interact with potential buyers and help them overcome fears about making a large purchase. Because I have a lot of experience with buyers I can tell when buyers have an interest in a property. Really interested buyers will ask a lot of questions about the property and neighborhood. They will also stay at the open house for a very long time, or leave and come back with more family members. You need a good agent that can handle tough questions and help sell the property. I don't just let people in and look around,I really try to focus on buyers that show interest and I make the property stay in their minds long after they leave.